The Logo of the CESR are two semicircles in the colours of ISGF red and blue, which are joined to a heart as symbol of the position of the sub-region right in the heart of Europe. The inscription reads: in blue “ISGF” and in red “Central Europe Sub-region”. Top right shows the ISGF emblem in the version currently in force. Likewise, the two semicircles create a circle, the symbol of friendship and team spirit. During the World Conference 1991 in Greece (Chalkidiki), some former scouts/guides got together to talk about the founding of a sub-region. Included are among others Rösle Frick from Liechtenstein, Harald Kesselheim and Manne Bosse from Germany, Ferry Partsch and Gustl Wurm from Austria. They decide in favour of a new sub-region and determine a meeting at the next European Forum of Guild Scouts in Grossarl/Austria 1992 to talk it over. This is done on 24th January 1992 and a term for the founding of the sub-region is scheduled in Liechtenstein. 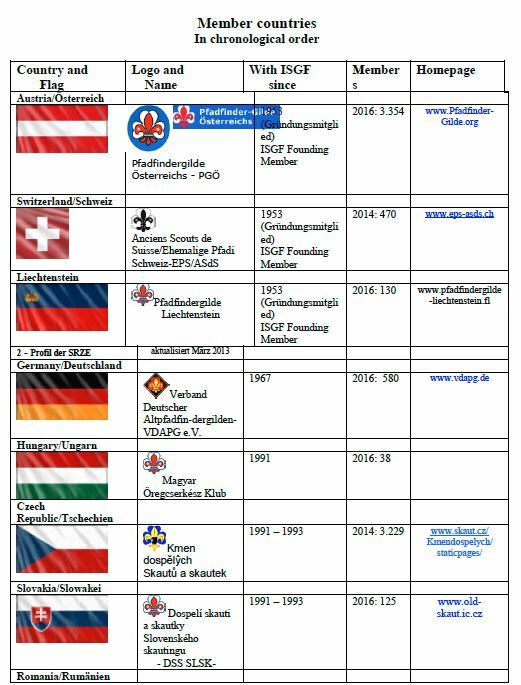 From 23rd to 25th October 1992 the delegates of the countries Liechtenstein, Austria, Germany, Switzerland, Slovenia, Czechoslovakia (today: Czech Republic and Slovakia) and Hungary meet and determine the founding of the Sub-region Central Europe. Switzerland is not able to join at that time due to its multilingualism and remains observer as well as the countries Slovenia, Romania and Ukraine. Germany, Liechtenstein, Austria, Slovakia, the Czech Republic and Hungary; Switzerland, Slovenia, Romania and Ukraine still have the status of observers. European News” is published, edited by Gerda-Maria Pazdera/Austria. Austria. 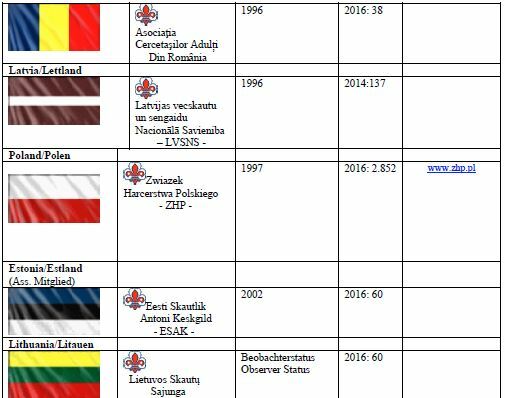 Estonia and Lithuania follow as countries with observer status on 17th January 2000 and Poland as member on 18th November 2000. 2001 the CESR organises the ISGF Europe Conference in Budapest with 525 participants, where Switzerland is incorporated as member country. Europe Conference, decides unanimously to supply the Europe Region with the amount of 5.000 DM for a fund intended to support the organisation of national structures of adult scouts. 2002 the delegates of all the member countries meet in Schaan/Liechtenstein to celebrate the CESR 10 years anniversary. It is an impressive event with governmental active scout delegates. Thereto, a little booklet concerning these first ten years is published. German as third language alongside with English and French at conferences etc. After that, this proposition will not be dealt with at the 2004 European Conference in Canterbury/ UK, at the European Conference 2007 in Krakow/Poland in June 2007 rejected with narrow majority and only in November 2010 at the European Conference in Agia Napa/Cyprus accepted with majority and renewed at the European Conference 2013 in Stockholm/Sweden, however, temporarily for six years. On occasion of the 4th Sub-regional Conference 2003 in Banska Stiavnica/Slovakia the statutes of the sub-region are accepted. At the 6th Sub-regional Conference 2009 at the Black Sea in Mamaia/Konstanta- Romania the statutes are amended by addition that the Committee includes the delegate in the ISGF Europe Committee. Hereto, Hans Slanec has been elected. For the purposes of discussion groups, the CESR was responsible for the Europe Region Workshops 2010 in Lübbenau/Spreewald/Germany and 2013 in Berlin-Wandlitzsee/Germany. According to the statutes the Sub-regional Conference takes place every three years. In between, the CESR organises gatherings, which shall conduce to acquaintances of members, member countries and sociable get-togethers. The Sub-regional Committee – externally named presidium – meets irregularly depending on the briefing situation two or three times a year in one of the member countries respectively. 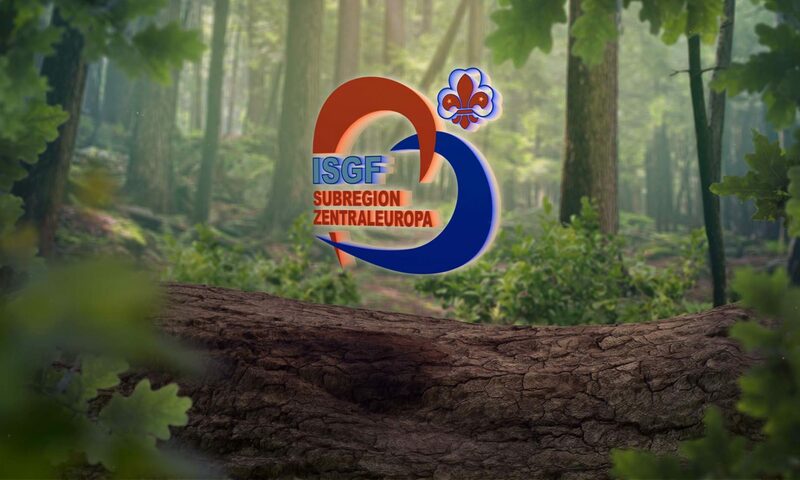 2014 the earlier sub-regional logo is passed to the ISGF-Europe Region and for the subregion a new logo is designed by Slavomil Janov from the Czech Republic and its adoption decided by the Committee – see “Our Logo”. For reason of multilingualism the Western French speaking part of Switzerland is member of the South European Sub-Region and the German speaking part is member of our sub-region. Currently, Estonia is only an associated member due to the membership figure. which belong to WOSM. The other Lithuanian group of which the active guides/scouts belong to WAGGGS, most of them living in the region of the capital Vilnius, is member of our region. The countries Poland, Czech Republic and Slovakia have agreed upon a close cooperation and meet once a year in one of the countries respective. Austria participates annually with several groups at the Alpe-Adria-Gatherings. expenses by donations. All persons work in a voluntary capacity and pay for their own expenses. For our members we publish the magazine “ZE@ktuell” in three issues annually, which is mailed digitally since 2011. Moreover, seven member countries publish their own national magazine. Further information are communicated as circulars. Many national efforts and aid projects are initiated by our members and realised responsibly. near Mombasa in Kenya together with the local scout groups. Due to the local circumstances, unfortunately, 2012 this project had to be terminated. Therefore, the partners Liechtenstein, Germany and the Fondazione Brownsea in Italy decided 2012 to continue the Africa engagement for the International Kenya Scout Development Project (IKSDP) in Nyandiwa/Lake Victoria – the Harambee Education Kenya – HEK. Lithuania but yet is not concluded until end 2015.